"Dollar for dollar, the 300ZX is the best damn sports car in the world." That's what they said when awarding the 300ZX the significant accolade of "Import Car of the Year". It's still true. 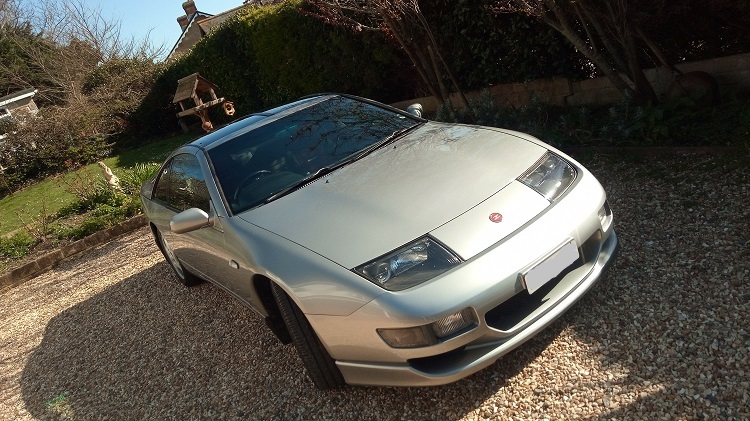 If you can come up with another sports car with the same quality of handling, performance, driveability, comfort, seats and loadspace with a real-world price tag (and you can take the top off), I'll eat my copy of 300ZX - The Enthusiast's Companion (by Ray Hutton). 2019 sees quite a few milestones coming up. The first one is my 3rd Zed ticked over to 174,045 km on 24 March 2019. That means I have now driven a quarter of a million miles in three Zeds since August 1999. 101,459 miles in the silver Series 1, 59,336m in the blue Series 3 and now 89,205m in the silver Series 6. Next milestone? April 2019 marks the silver Series 6's 20th birthday. A few updates on Series 6 differences, audio and tyre suppliers. Details here. Have a browse. The arrival of my 3rd Zed kicked me into action replacing the cruddy menu and changing host and doing a bit of site replumbing. Loads more to do and more updates as I find out more about the new Z. A Series 6 from 1999. And then, hibernation once I sold my first Zed (the Silver Machine) and bought my second one, the blue Series 3 NA Auto (known briefly as LEO before the number plate switch). Mainly due to being somewhat busy bringing satellite broadband to the rural and not-so-rural bits of the UK. Aug 07 saw more updates. Spurred on by the Car of the Month poll, the ZClub's record-breaking parade lap at Silverstone and the acquisition of LEO (an Auto NA). For 2 years, very little happened (on the site, at least): a new page on Tyre Pressures, one on HICAS and a new graphic on the page layout to reflect the proper paintwork design on the front of the Z. Prior to the 2005 update, my first Zed was featured in the ZClub Magazine, Evo, a Jeremy Clarkson DVD and Practical Classics. Z#1 Series 1 1990 TT Manual 2+2 Silver, Z#2 Series 3 1993 NA Auto 2+2 Blue, Z#3 Version S Series 6 1999 NA Auto 2+2 Sonic SIlver. Don't they say good things come in threes?